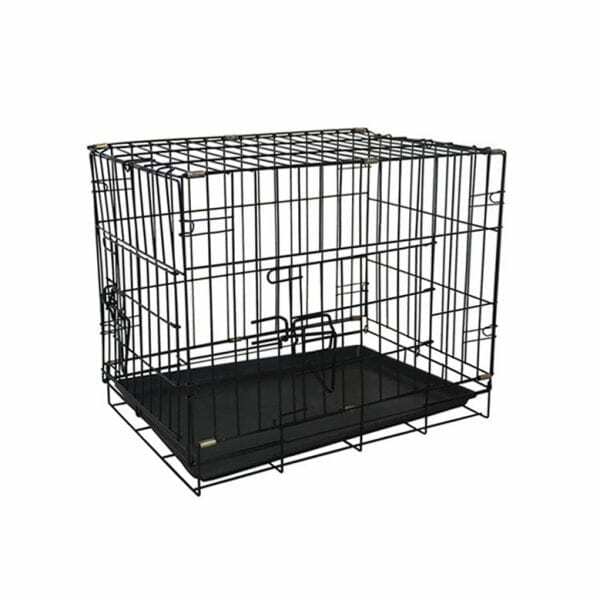 Ideal for both puppies and adult dogs, double-door folding metal crate offers exceptional convenience. 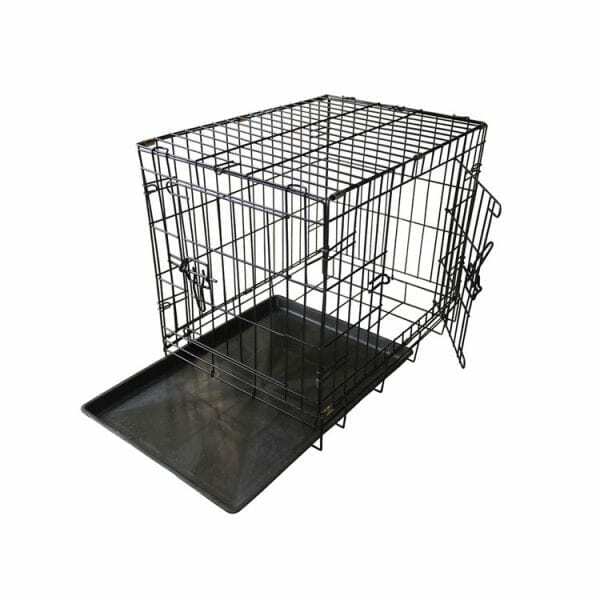 Use the metal dog crate for anything from toilet training or house training to reinforcing house rules and boundaries – or simply as a safe, secure place for your pooch to rest and relax.This metal dog crate features two swing-open doors – a traditional door on the front and a second door on the side. This double-door design provides easier access to your pet and keeps everything within reach when cleaning or re-arranging a bed. Two slide-bolt latches on each door help ensure safe and secure containment. Durable metal-wire construction provide strength and optimal ventilation and visibility. Rounded corners help protect your pets and promote safety. This metal dog crate sets up easily in seconds – no tools required. Simply lay the folded crate flat, then unfold and raise the one-piece sides and top to create the initial framework, then swing the front and back panels up and lock into place. The crate folds down just as effortlessly for compact storage or convenient portability. The frame secures shut and a metal-loop side handle makes it extra easy to carry from one location to another. 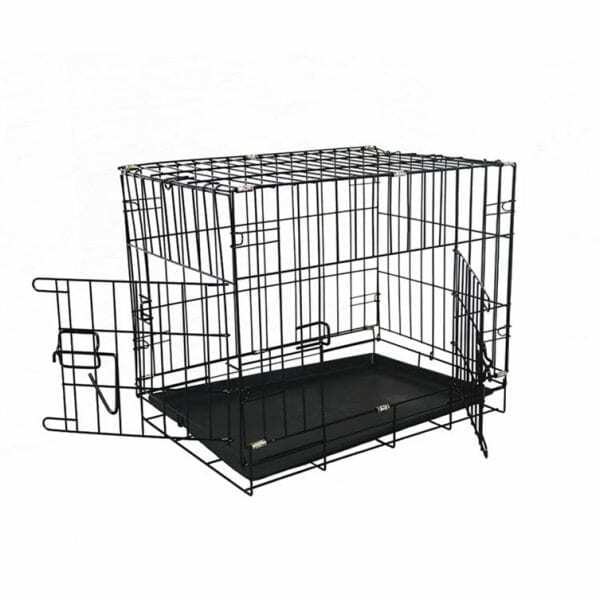 – Please choose a suitable sized cage for your pet. – It should be large enough to enable your pet to stand and turn around in. – Please note that there is nothing more important than keeping your pet feeling safe, secure and happy. An anxious or agitated pet should not be left alone. – If you have any problems or anxieties, please seek advice from your local vet. – We are a UK BASED supplier, importer & retailer.